Here we are already! The clocks have gone forward, the first Championship matches are about to get underway, schools are breaking up and children and adults across the country are chomping at the bit to get outdoors and start their own first games on grass! All the hard work done indoors over the winter, grooving actions and finding some rhythm suddenly seem a long time ago. When you get the ball in your hand and you stand at the top of your mark to run in for the first few deliveries of the season, the feeling is very different. Suddenly it all counts! The wides, the no balls, the short balls and half volleys you feel that you got away with indoors will now go against your figures and, more importantly, against the team. How can you give yourself the best chance of picking up wickets in what, traditionally in early season, will be bowler friendly conditions? Try not to let the expectation take over your thoughts. The batters will take one look at the emerald surface and the comments will start to come your way. ‘A few easy wickets for you then?’, ‘Nice day to be a seamer!’, ‘Over to you!’ and so on. In these circumstances, it can be very easy to get wrapped up in the expectation and try too hard, getting frustrated when wickets do not come ‘easily’. 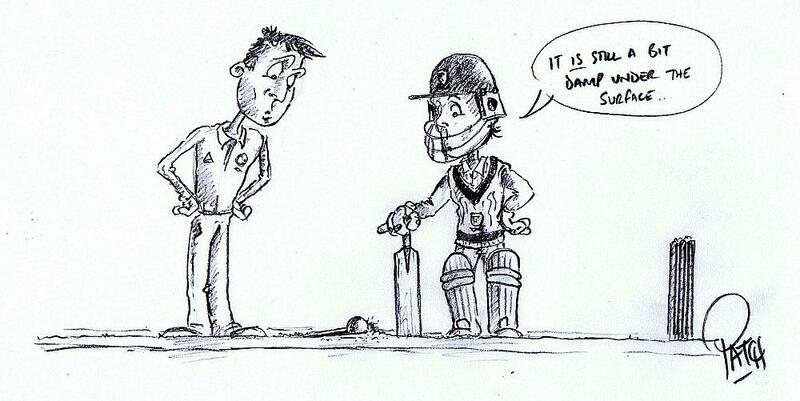 Relax, and aim to get the ball full and on off stump. Keep it simple! Indoors, you will have been used to getting the bounce and pace from back of a length. The same length outdoors will generally be too short. This will allow the batters the opportunity to see movement, the ball will sit up giving the batter all the time in the world to pick exactly where they want to dispatch you through the leg side. Get the ball full of a length, giving it a chance to swing, and encourage the batter to come forward. As much as possible, you need to ensure that the batter is playing you off the front foot, as they are more likely to mistime a drive leading to catching opportunities in the off-side ring. On softer early season wickets, the ball is more likely to move laterally as well as stopping in the wicket slightly. Don’t forget that the batter is used to indoor conditions where they will have been able to throw their hands through good length balls with little risk! If they do this and it comes off a couple of times, keep going, the batter’s suspicions in the surface will reduce, confidence will grow and it will only take one delivery that stops, or cuts a little and you will be in business! From the diagram above, you can see that there is far less margin for error, particularly on length in early season. 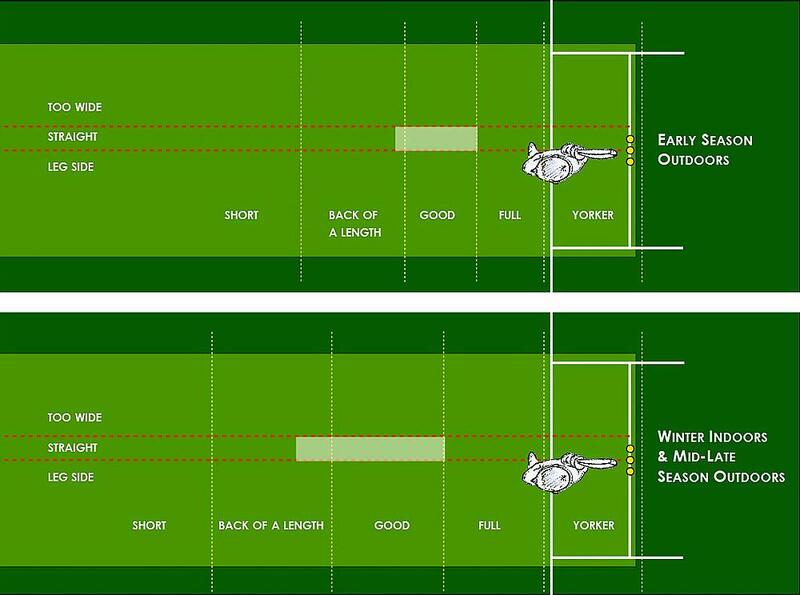 These lengths will vary from wicket to wicket and as you progress through the season as the wickets harden up through July and August. As a bowler, it is your responsibility to work out as fast as possible, the correct length to be bowling on any given pitch on any given day. These lengths will vary from bowler to bowler and from wicket to wicket. Taller faster bowlers are able to bowl fuller and still extract bounce due to the angle of trajectory of the delivery. Shorter skiddier bowlers will find a good length, with the ball hitting the top of off stump, slightly shorter than a taller bowler. On a damp early season wicket, it might well be the slightly slower skiddier medium pacer that enjoys more success with deliveries kissing the surface and moving sideways off the pitch and through the air. The taller bowlers who hurl the ball into the pitch will extract more of a tennis ball bounce, which whilst maybe less penetrative can prove harder for the batter to time and therefore scoring runs can be difficult. If the length is too short, however, this type of bowler can find that they go the distance! When you have found your length, stick to it and tie the batter down giving them little opportunity to score. Try to get yourself in a place where all that exists in front of you is you, the ball and whatever you are aiming at, be it the top of off stump, the spot on the pitch or the wicket keeper’s right knee. In your mind, nothing else should be there and you need to try to find the length that works, and replicate the same delivery time after time. Don’t get bored! Getting your fielders in the right place is crucial to bowling dot balls and creating the pressure necessary to take wickets. With your early season default length being on the full side of a good length, you will need to have your field set straight as you are expecting the batter to hit down the ground with a straight bat. It might be a good idea to have a short cover for the one that stops on the batter as an uppish drive will go at catchable height through here. There is usually some lateral movement wither through the air or off the wicket or both so reliable slip fielders will need to be ready. 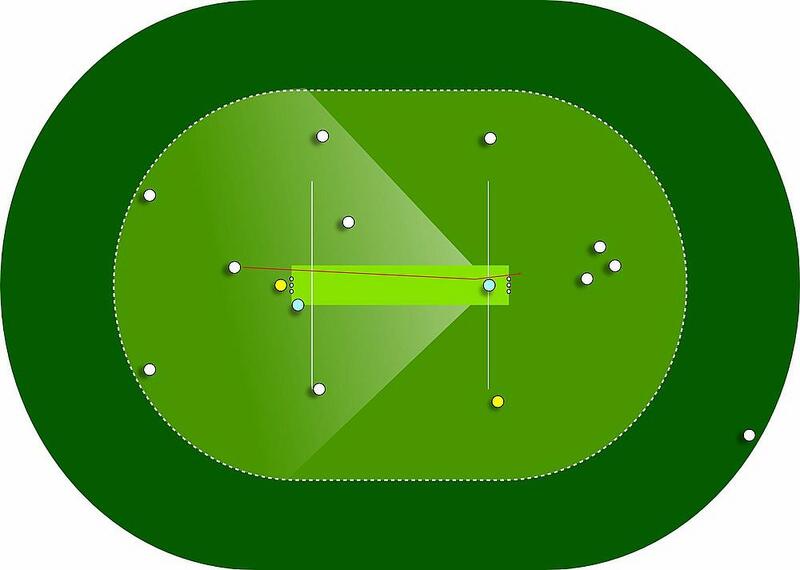 In the diagram below, showing a possible field for a seamer, five players and the bowler can take up the positions in the 90° arc in front of the bat. Always put most of your fielders (and your best ones!) where you are expecting the ball to go. Potential field setting for a seamer on a soft early season wicket. The aim should be to bowl as full as possible, getting the batter to hit down the ground. Create pressure from your end by bowling as many dot balls as you can. 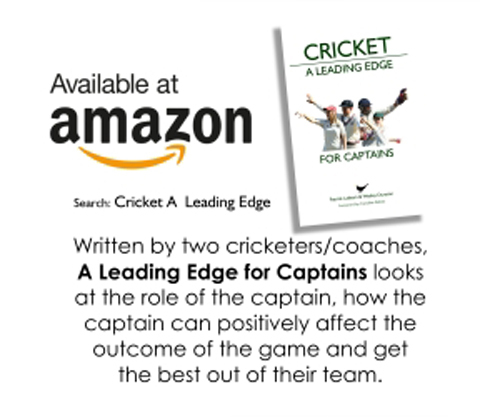 Your 10 overs 1 wkt for 15 runs may not make the match summary, but you can guarantee that you will have done a fantastic job in heling the bowlers at the other end get their wickets through the pressure you put on the batters to score off someone else.